Any ETA for a search/filter stack for this? These stacks are super useful. After having a play and test, I couldn’t get the text/html stack to show any html from the Google sheet. I’m trying to bring an image in with the “alt” tag in the html but it doesn’t work. The Gsheet image stack doesn’t have an “alt” tag option either. Is there a way to show images from the Google sheet and have an “alt” tag on the image? That is a good point, we need to add an alt text feature to the image stack. That would be helpful. Thank you very much for the suggestion! I’ve purchases your stack and am excited to use it. In the tutorial section on your website, under Getting Started #3, you have an 8-step method but the graphics for steps 5 and 8 are missing. Could you please add these graphics? Yes I will get the graphics I’m the tutorial updated as soon as possible. We got this error a couple times in preview mode. It seems like clearing the browser cache solved the problem. I can see lots of possibilities. +111 for dynamic content! I have lots of uses for this stack and it was fast and easy to set up. Thanks! When I was working with the Pricing Table Example, there are 3 buttons labeled “Get Started”. Presumably clicking on the button will read a URL off a row.attribute cell and open up a new page in a new window. In the Pricing Table Example, I don’t think there is a column of URLs in the csv file for the 3 “Get Started” buttons to read to take the viewer to a “Get Started” destination page. What would the format of these destination page URL’s look like in the csv file? When I put in a google doc https:// url with anyone can view permissions the “Get Started” buttons don’t take me to the google doc destination page. Edit: here is a link to the site to see if that makes it easier to spot the mistake I am making. Can the Gsheets stack be used/automated to present/demonstrate booked time slots in the @yuzool Booking stack? It is unlikely that Gsheet will work with Yuzoolthemes Booking stack. Unless the stack itself connects to Google Spreadsheet or provides some sort of online .csv URL. If it does provide these things, then it just might work. But I cannot make any guarantees. You are right. This is actually a bug! The Gsheet button is meant to work with attributes like “row.attribute” or “row.url” but it looks like a small typo was causing the link not to work from the attribute. I will be pushing out an update for this today. +1 for SQL support. I mostly use Foundation. Would there be any way to integrate the mobile-first, small, medium and large images approach into these stacks? I know it is probably a tall order. Gsheet will certainly transform some of my sites. Thank YOU (and the other Rapidweaver developers) for creating such powerful but easy-to-use tools! Anyone using the booking stack by Yuzool? If your host is charging for certs in 2019 then you probably should look for a new one, Chillidog (and I assume others) provide them for free. I’d be happier if more dev’s made their stacks so that they DIDN’T run on non-https sites. On a normal website, I would say the same. But this is a special case I am working on. 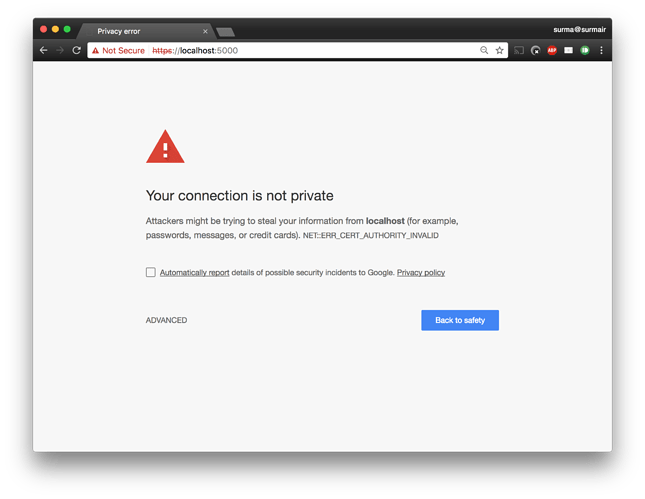 It would be unsecure to use HTTPS because the created content must run through a virus-gateway (a virus scanner in the DMZ of a company or small office). The company/customer do not want to break a certificate for scanning and the content must be scanned before entering the LAN/client-PC. It would be much to expensive to implement this in any place. There is no personal data on the site nor authentication or traffic analysis. There will be a script to create the CSV with the download-link to feed the GSheet stack. If it would work on HTTP. I wanted to keep it simple, very simple if possible. Thanks for the advice, Paul. But I know that, and I think if more (or better all) websites would use HTTPS, even my provider would not charge for certs. I think the only reason for not changing this situation is my laziness. Anyway, but even then, in my opinion - a more flexible product is more charming. Thanks all again for the kind words. I think I may have found the reason that the search stack was not showing up for some people, and I’ve just pushed out an update (Version 1.0.4) of the Gsheet stack. I hope this will workout for everyone. Any idea when the images will have the ALT text option?